After earning her degree in marine biology, Dr. Julie Gee worked as an aquarist in public aquariums before vet school. She particularly enjoys treating toxicity cases and wound repairs. A PADI certified dive master, Dr. Gee loves to scuba dive. She also likes good music, good food and hiking with her husband and their two greyhounds, Nori and Ebi. They also have four cats: Mochi, Ahi, Panko and Kakuni. Dr. Christopher George has done extensive research on feline chronic kidney disease, so it’s no surprise to find that his clinical interests include both acute and chronic kidney disease management and gastrointestinal endoscopy procedures. Dr. George’s favorite pastimes include cooking, hiking and traveling. His pets are miniature dachshund Duke, border collie mix Gus, and cat Hank. Dr. Daniel Hicks sees neurology and neurosurgery as a combination of internal medicine and surgery and views every case as unique and an intriguing challenge. He is particularly interested in Wobbler syndrome and surgery including spinal, intracranial and neuro-oncologic. Co-founder of Heeling Hearts Australian Cattle Dog Rescue, it’s no surprise that Dr. Hicks has four Australian cattle dogs. But they are only a small portion of the farmyard menagerie he takes care of with his wife and three kids. They also have a border collie, donkey, four goats, two cats and multiple ducks. 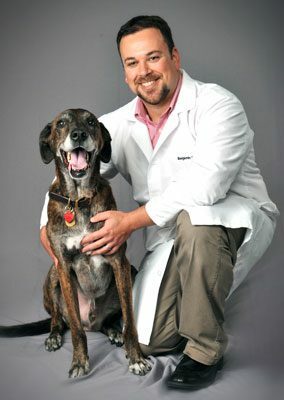 Dr. Hicks’ hobbies include canine agility and obedience performance, livestock herding, hiking with his goats and dogs, grilling and trail running. Dr. Deborah Hodesson has worked in emergency medicine, owned her own small animal private practice, and worked as a mobile veterinarian. After years in the dental field, she still finds it gratifying to restore health to a diseased tooth or tissue. She also enjoys oral surgery, particularly mass removals and root canal therapy. Dr. Hodesson volunteers her veterinary skills with a number of organizations, assisting with a variety of species, to include marine mammals. She likes swimming, hiking, backpacking, camping, kayaking, scuba diving and triathlons, and her all-time favorite team is the Seattle Seahawks. She and her husband have three adult boys and three pets: chocolate lab Aniska, golden retriever K’Taira, and Himalayan cat Kai Lani Maka Leah. 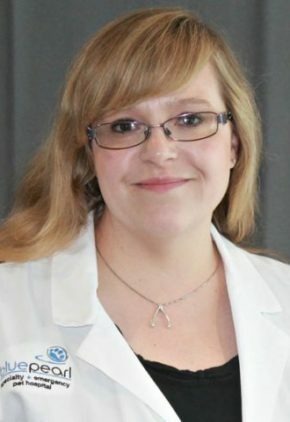 Dr. Emily Hoots enjoys everything about emergency medicine, especially soft tissue surgery; endocrine emergencies, specifically diabetic ketoacidosis and Addison’s disease; autoimmune disease, such as immune-mediated hemolytic anemia and immune-mediated thrombocytopenia; congestive heart failure and trauma. Dr. Hoots enjoys quiet pastimes such as knitting, reading and vegetable gardening. 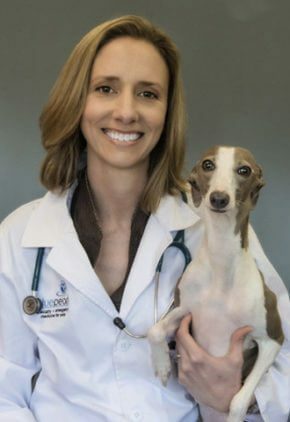 She and her husband, a veterinary surgeon at BluePearl, have one daughter, a cat named Oscar and three dogs: whippet Breezy, dachshund Ruby, and Chihuahua Honey. Dr. Katrina Huskie is interested in transfusion medicine and critical care. Gastric dilatation volvulus, GDV, is one of her favorite emergencies because it requires fast, aggressive supportive care and surgery. Dr. Huskie loves to snowboard in winter and surf in the summer, and she also likes to quilt and travel. Quincy, a Chihuahua-miniature pinscher mix, is Dr. Huskie’s dog, and her cats are Tavis and Scamper. 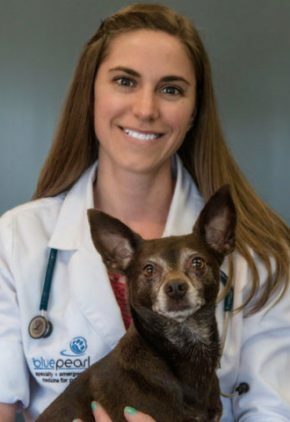 Dr. Paige Kail’s favorite emergency cases include gastric dilatation volvulus, “your pet ate what?" foreign body removals, lacerations, polytrauma and management of diabetic ketoacidosis. 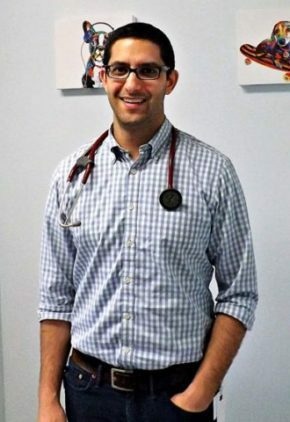 Dr. Kail enjoys yoga, cooking and family time. She and her husband have two dogs, a Vizsla and a miniature dachshund, who they enjoy hiking with. Dr. Heather Newton's particular clinical interests include cardiology and internal medicine cases, especially diabetic ketoacidosis and immune-mediated hemolytic anemia. 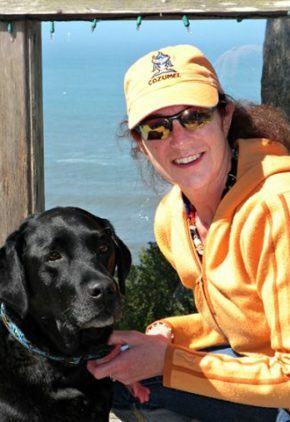 Dr. Newton takes full advantage of the area, hiking, camping, road biking, stand-up paddleboarding, playing volleyball and running with her dogs, pit bull mixes Leo and Lilah and Doberman Trice. She has been a member of a number of choirs and played classical piano for over 20 years. 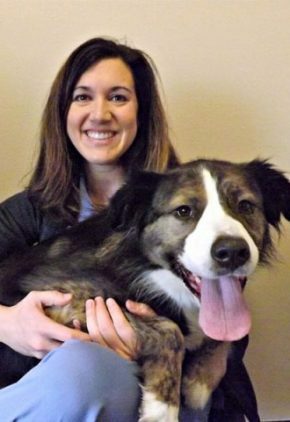 Dr. Ellie Nuth chose the radiology field because she enjoys working with all veterinary specialties. Her favorite modalities are CT and ultrasound. Married with one daughter, Dr. Nuth loves biking and hiking. She also enjoys sampling her husband’s home-brewed beer. She has one dog, a Chihuahua named Nova. Dr. Benjamin Perry considers his previous biomedical engineering training invaluable because it gives him a better understanding of the structure and function of body systems. A particular clinical interest is the challenge of addressing elbow dysplasia, a particularly debilitating disease of young, often otherwise healthy dogs with mostly pain-relief-only treatment options. A potential surgical treatment for this condition, in which Dr. Perry is trained, is proximal abducting ulnar osteotomy (PAUL). Dr. Perry is also involved in both the evolution and advancement of minimally invasive techniques utilizing arthroscopy. Dr. Perry is an active mentor of younger veterinarians. He also volunteers helping Boy Scouts obtain veterinary medicine merit badges. His hobbies include obedience training, watching the Chicago Blackhawks, bicycling, live music, traveling and cooking with his wife. They have one rescued dog. 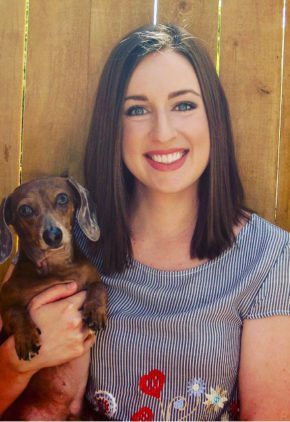 Dr. Brittany Heggem Perry keeps up with developments in human critical care medicine, and she is most excited by the prospects of non-invasive and minimally-invasive testing, as these procedures can be incredibly helpful to doctors with little to no discomfort to patients. Some of the most fulfilling cases to Dr. Perry are those with sudden intoxications and endocrine emergencies because with good intensive care, most of these cases make significant improvement and are very rewarding. Dr. Perry’s favorite pastimes include baking, playing the piano and gardening. She has one mixed-breed rescue dog who is her jogging buddy. Dr. Sharon Shor has two main goals: to educate pet owners about their pet’s cancer and find the treatment option that suits them best. 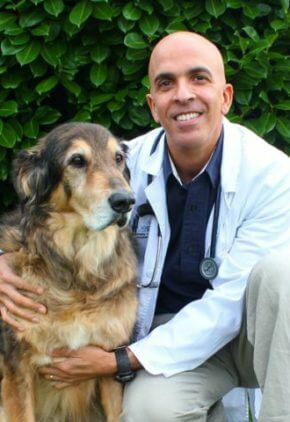 He is highly attentive to pain management for his patients, especially for pets with bone-invasive tumors. 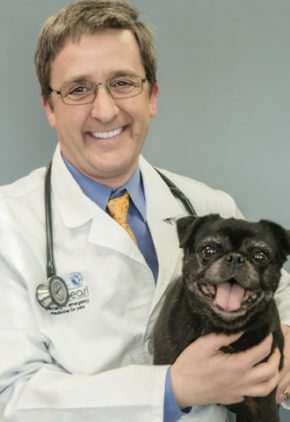 Always interested in adding to the veterinary medicine body of knowledge, Dr. Shor participates in collaborative oncology clinical trials that benefit both pets and humans. Some of his particular clinical interests include treatment of lymphoma, mast cell tumors, osteosarcoma and hemangiosarcoma. Dr. Shor spends his free time with his wife and two children hiking, traveling and photographing the Pacific Northwest. Their pets include dog Mitchell, and cat Patchy, both of whom were rescued in Israel and are now world travelers. 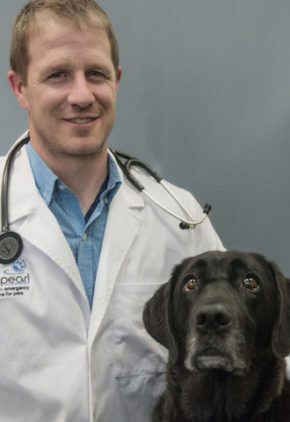 Dr. Sheppard Thorp has extensive experience treating toxin ingestion, vehicular trauma including thoracic and abdominal injuries, urethral obstruction, diseases that cause vomiting and diarrhea, acute infections, acute endocrinopathies, acute immune-mediated disease and chronic degenerative disease such as heart, respiratory and kidney failure. He is also experienced in all types of emergency surgery bloat, cesarean section, foreign body retrieval, splenectomy, cystotomy and tracheostomy. His special interests include hypotensive shock, hypotension, circulatory and ventilator collapse and pain control. Dr. Thorp volunteers at the University of Puget Sound Slater Museum of Natural History providing specimen preparation and necropsy. He also volunteers for Nisqually National Wildlife Refuge NWR, Malheur NWR, U.S. Fish and Wildlife Service, the U.S. Geological Survey providing bird-watching tours and bird-count surveys, and for several Audubon societies providing bird-watching field trips and teaching courses on bird anatomy. He also is a jogger and avid player of board games. His pets are a tribute to veterinary medicine. Nick, the toy fox terrier who appeared on their doorstep, has a bone plate in his right front leg. Rosie, the Chinese pug, unexpectedly recovered from a 107° fever and seizures after ingesting slug bait and being in a chemical coma for four days. Nigel, the King Charles cavalier, underwent brain surgery for his cranial-occipital malformation syndrome. Hux Pux Delux, the yellow Labrador retriever with subaortic stenosis, loves to play fetch. Dr. Thorp lives with his wife and three children and considers family time precious. Dr. Kelly White finds soft tissue emergency surgeries especially rewarding, particularly lacerations, wounds, GI surgeries GDV, foreign body obstructions, pyometra and C-sections. Medical cases like Addison’s disease and toxicities are also a special interest. 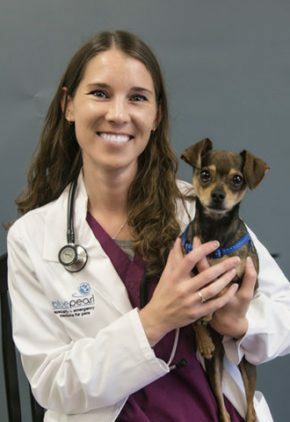 Dedicated to volunteer veterinary work, Dr. White has participated in spay/neuter campaigns in Guam, Palau, the Cook Islands and Bora Bora. She is married and has two sons. Her favorite pastimes include skiing, climbing, hiking and traveling. The family has one dog, an Italian greyhound named Zoey, who they rescued. Dr. Keysa Williams’ clinical interests include sepsis, gastric enteritis and feline urinary obstruction cases. Dr. Williams likes visiting used book stores and monuments throughout the United States. Her favorite movies are those about to leave the big screen because she enjoys the feeling of being alone in a huge movie theatre. Ziya is her lab mix.